Many of you will have heard of enzymes. But did you know that they are essential for every cell in your body? Or that you can enjoy some remarkable health benefits, simply by increasing your daily consumption of these powerful protein-based substances? In this article, you’ll learn more about enzymes and their associated health benefits, and discover how to boost your enzyme intake naturally for improved health and wellbeing. Enzymes are made from amino acids – the building blocks of protein, which play a crucial role in nearly every biological process. They are found in every single cell of every living plant or animal. In the human body, enzymes are responsible for building raw materials, transporting nutrients to where they are needed, eliminating unwanted toxins and an infinite number of other biochemical processes that are essential to human life. To date some 3000 plus enzymes have been officially classified, however, scientists suggest that there could be a further 50,000 yet to be identified. There are eight different digestive enzymes – enzymes, which as their name suggest, help to break down the food that you eat in order that it can be used by your body. Digestive enzymes are extra-cellular and thus found outside of your body’s cells. Metabolic enzymes act as a catalyst for your metabolism – essentially a set of life-sustaining, chemical transformations that occur within your body’s cells, and which effectively enable them to grow, reproduce and respond to their environment. Metabolic enzymes are required for your circulatory, lymphatic, cardiac, neurologic, endocrine, renal, hepatic, and reproductive systems, as well as maintaining healthy skin, bones, joints, muscles and other tissues. Metabolic enzymes are intra-cellular and thus found in your body’s cells. Food-based enzymes are obtained from the foods that you eat – raw superfoods in particular, are excellent sources of food-based enzymes and can therefore give your enzyme intake a welcome boost. As you have already learnt, enzymes are essential for every cell in your body and aid in both your digestive and metabolic processes. Increase your absorption of oxygen. Fight infections and heal wounds. Reduce inflammation, and thus help to prevent a number of chronic diseases, including autoimmune diseases, cardiovascular disease and certain types of cancer. A 1999 study revealed that patients with inoperable pancreatic cancer treated with large doses of oral pancreatic enzymes benefited from survival rates that were 3 to 4 times higher than those receiving conventional treatment. Improve your body’s absorption of nutrients, and thus boost energy levels and eliminate fatigue. 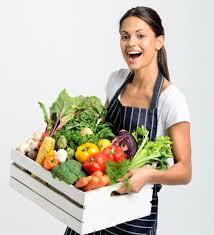 Expel toxins and cleanse your body – enzymes break down protein-based foreign bodies in your blood. Regulate cholesterol and triglyceride levels by breaking down fats in your blood. Dissolve blood clots – enzymes remove a clotting material from your blood known as ‘fibrin’. Combat digestive complaints, such as indigestion, gas, bloating and reflux. Reduce stress on your digestive organs, particularly the pancreas, by reducing workload. Delay the signs of aging. Strengthen your immunity and improve general health and wellbeing – enzymes help to heal your bowels, control pathogens and support your immune system, 90% of which is located within your gut. Indeed, enzyme researcher Rudolph Kunze believes that ‘the central target of systemic enzymes is the immune system’, whilst German studies suggest that systemic enzymes increase the potency of macrophages and killer cells (both important immune cells) by up to twelve times. According to Dr. Edward Howell, regarded by many as the father of enzyme research who pursued a career dedicated to the study of enzymes, the number of enzymes that your body’s cells are able to manufacture is finite. Research also suggests that your enzyme production starts to decline as you age – by more than 10 per cent, every ten years in fact. Unfortunately our modern diet of processed fast foods is not only low in natural enzymes; it also actively inhibits our body’s ability to produce enzymes in the first place, putting many of us at risk of an enzyme deficiency. Left unchecked, a lack of enzymes can lead to a number of metabolic and digestive disorders, whilst a more persistent enzyme deficiency may ultimately contribute to chronic bowel conditions and a long list of contemporary diseases, such as autoimmune diseases, cardiovascular disease and certain types of cancer. The protein structure of enzymes is actually quite delicate – heating or aggressively processing food therefore tends to destroy or impair the enzymes that it contains. Which is why one of the best ways to rapidly boost your enzyme intake, is by increasing the amount of raw food that you consume on a daily basis. 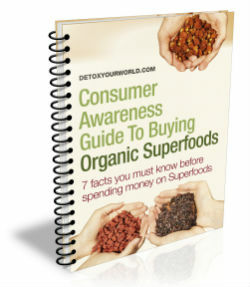 As it has not been heated or processed in any way, raw food is naturally rich in enzymes. Raw superfoods also contain certain vitamins and minerals that assist enzyme function and are thus known as ‘co-enzymes’ (e.g. coenzyme Q10 – an oil soluble, vitamin-like substance that is found in your cells’ mitochondria and helps to generate energy). Sprouted seeds and vegetables. Sprouting increases a food’s enzyme content demonstrably. Certain superfruits, such as organic dried pineapple and organic dried mango. Bee products, such as raw honey and bee pollen, which contain enzymes from the bees’ own saliva. Coconut oil, which makes a wholesome alternative to standard cooking oils. Supergreens, such as organic spirulina powder, organic chlorella powder, organic barley grass powder, organic wheatgrass powder and live wheatgrass juice. In addition to enjoying a diet high in raw foods, you can also enhance your enzyme intake by taking a quality enzyme supplement available from all good health food stores. ← More magnesium please, we’re British!